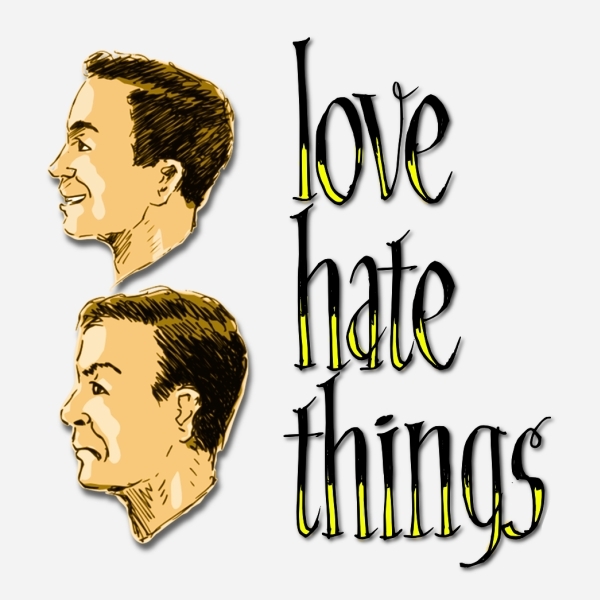 Concerning why I haven't had a podcast up in a long while, 2009's media distractions, how James Cameron ripped off a pre-school show for Avatar, my Film-A-Month Faves for January to June 2010, and why YOU were the biggest cop out of the aught decade. After attending, enduring, and being encompassed by my first Podcamp over the past few days, I'm hoping I can relay some of the peaks, pitfalls and go forward plans on my realtionship with with the experience. First the good - and there were numerous great things that I experienced as a novice to the proceedings. As I've echoed in previous blog posts about conferences (especially some on the grand scale), the reason most people go to them, I believe anyway, is to be around like-minded individuals that they especially would not be able to hang out with on a regular basis. I'll be the first to admit that my immediate circle of friends and acquaintances that I see every day have little interest in blogs, podcasts or new media in general. Sure, some of them may consumer as an end-user and think they've tapped some vast arcane cool "alternative" thing, but most will get a glazed look in their eyes upon anything that sounds like jargon. So the immediate best thing about my Podcamp experience was being part of the hive mind that made up such an event. I also met a bunch of great people. Although I'm far from a social butterfly (more like a wallflower moth that dabbles in moments of grandeur) I did get the opportunity to meet a solid group of people that I will maintain some sort of contact with especially around like events. I like the idea of an "unconference" more than the execution. I love the anarchic feel of having anyone present about anything within the parameters of the event, but I will admit that such a process, or lack of one, does lend to some weak presenters and/or deceptively-titled workshops. I got the feeling that, other than sitting back and absorbing knowledge from someone like Chris Brogan, even experienced Podcampers were willing to sit through a workshop led by someone with less experience if there was a strong interactive component. Let's face it, we want to stamp our tag on everything as communicators and the venue of a "classroom" to wax intellectual about something we know about is too good to pass up. This said, there were still plenty of "traditional" presenters doing the preacher from the pulpit thing that can be engaging with the right dose of charisma and content. The only trend that through me over the event was the huge number of PR people who were present on Saturday. I get that new media is still media and media is message and message is money, but, without knowing what to expect, my thoughts were that most people there would be indy bloggers and podcasters like myself instead of industry people. That's not to say the culture was bad, but it did throw me for a bit of a loop when one presenter asked how many PR people were in the room at a workshop I was in and half the hands went up out of about 80 people. My single most gratifying moment, and one that to me summed up a combination of both the business side, the social media, the gathering itself, was the result of a challenge I threw out to a rep from Molson's via Twitter about a week ago. When I learned Molson's was sponsoring the big Saturday night event and saw the rep's name while watching the #pcto09 hashtag (which was the biggest trend on all of Twitter for the entire weekend mind you) I threw out the challenge of having a cold bottle of Molson Stock Ale waiting when I got to the party. Thinking that, at best, it would be the prompt for some ribbing and casual conversation upon getting there (and quite honestly not even knowing if Molson Stock Ale was still being bottled) imagine my surprise when @molsonferg went behind the bar and pulled out the Stock Ale for myself and a couple of new acquaintances - those of us over 35 remember the original "Blue" with nostalgic reverence. So cheers to Molson for doing up the event right. I can honestly say I'm already looking forward to Podcamp Toronto 2010 and got more than one prompt to get me thinking about Podcamp Hamilton. So for all you new media folks in the Hamilton, ON area, get in touch and maybe we can get something together. Let the law of two feet live - so say we all! Some slim pickings for what's usually a solid month of the year. I've not, and will not, see a Harry Potter film in the theater. That being the case, for the apocalyptic geek in me... and the fact that John Cusack is in it, 2012 is my pick. Never before has a date in history been so significant to so many cultures, so many religions, scientists, and governments. "2012" is an epic adventure about a global cataclysm that brings an end to the world and tells of the heroic struggle of the survivors. When one shakes random director and genre generators and comes up with Quentin Tarantino and World War II... how can I not see this? "Inglourious Basterds" (sic) begins in German-occupied France, where Shosanna Dreyfus (Mélanie Laurent) witnesses the execution of her family at the hand of Nazi Colonel Hans Landa (Christoph Waltz). Shosanna narrowly escapes and flees to Paris, where she forges a new identity as the owner and operator of a cinema. Elsewhere in Europe, Lieutenant Aldo Raine (Brad Pitt) organizes a group of Jewish soldiers to engage in targeted acts of retribution. Known to their enemy as "The Basterds," Raine's squad joins German actress and undercover agent Bridget Von Hammersmark (Diane Kruger) on a mission to take down the leaders of The Third Reich. Fates converge under a cinema marquee, where Shosanna is poised to carry out a revenge plan of her own. Okay, something strikes me as strange when too many post-apocalyptic/futuristic/vampire options are given in the first couple weeks of the month. I'd rather stick with Soderbergh and Damon. What was Mark Whitacre thinking? A rising star at agri-industry giant Archer Daniels Midland (ADM), Whitacre suddenly turns whistleblower. Even as he exposes his company's multi-national price-fixing conspiracy to the FBI, Whitacre envisions himself being hailed as a hero of the common man and handed a promotion. But before all that can happen, the FBI needs evidence, so Whitacre eagerly agrees to wear a wire and carry a hidden tape recorder in his briefcase, imagining himself as a kind of de facto secret agent. Unfortunately for the FBI, their lead witness hasn't been quite so forthcoming about helping himself to the corporate coffers. Whitacre's ever-changing account frustrates the agents and threatens the case against ADM as it becomes almost impossible to decipher what is real and what is the product of Whitacre's rambling imagination. Based on the true story of the highest-ranking corporate whistleblower in U.S. history. I've gotta give give mad retro respect to a Maurice Sendak book being made into a film by Spike Jonze no less. An adaptation of Maurice Sendak's classic children's story, where Max, a disobedient little boy sent to bed without his supper, creates his own world--a forest inhabited by ferocious wild creatures that crown Max as their ruler. Not that I care too much that Guy Ritchie is involved... Lock, Stock and Two Smoking Pipes anyone? But it's Robert Downey Jr. and Jude Law. Thankfully this is coming out before what I'm sure will be a notoriously unfunny comedic remake that's rumored with Will Ferrell and Sacha Baron Cohen. I almost picked The Wolfman with Benicio Del Toro, but I really wish they hadn't gone period piece with it. I was hoping for a modern-day adaptation. I get the feeling there are still WAY more announcements for film releases almost a year from now, but, based on the known titles as of now, James Cameron alone wins this for me. What looks like a solid cast is bound to be surrounded by some spectacular cinematography and effects. 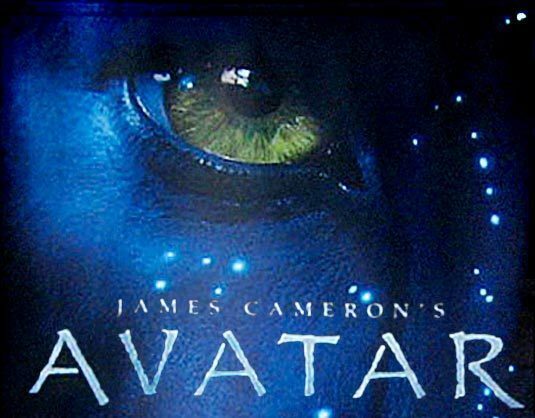 "Avatar" tells the story of an ex-Marine, thrust unwillingly into an effort to settle and exploit an exotic planet rich in bio-diversity, who eventually crosses over to lead the indigenous race in a battle for survival.